Randy is a USA Weightlifting National Coach, Advanced Sports Performance Coach and Totten Training Systems Advanced Olympic Weightlifting Coach. He is also a level 4 Rossiter System fascial stretching, pain relief and mobility practitioner. As an instructor for the USA Weightlifting Sports Performance Weightlifting Coaches Course he has trained and certified hundreds of new weightlifting and sports performance coaches in Colorado and Wyoming. From 2007 to 2009 he was a Team Leader Instructor for Pavel Tsatsouline’s Russian Kettlebell Challenge certifications. 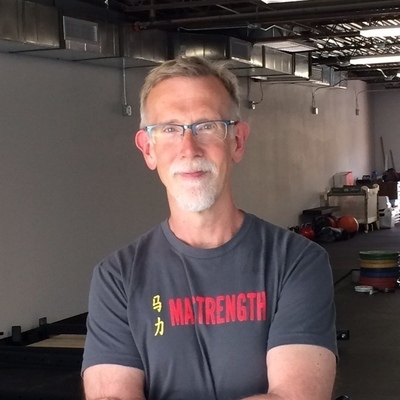 With 30 years of experience, Randy has helped athletes from youth to master to professional ranks get stronger for a variety of sports such as Cross Country, Track and Field, Mountain and Trail Running, Cycling, Obstacle Course Racing, Basketball, Softball, Timber Sports, Olympic Weightlifting and Kettlebell Sport. Schedule an appointment with Randy.